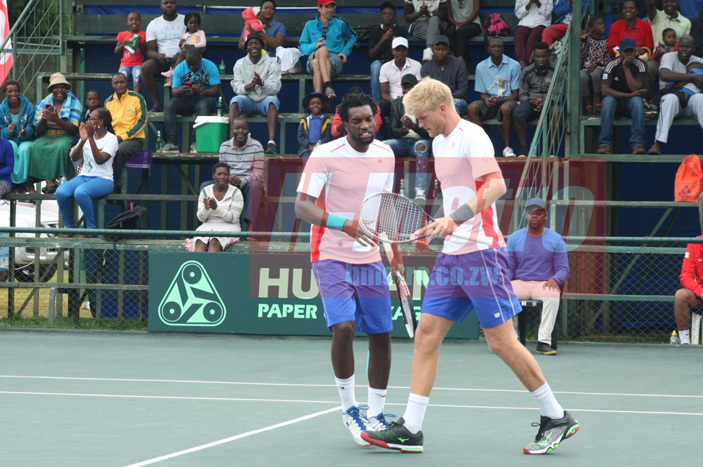 ZIMBABWE Davis Cup tennis captain Gwinyai Tongoona reckons playing Romania away will be a daunting task but he expects his team to come through in this Europe-Africa Group II tie. Wednesday’s Davis Cup draw held in London saw Zimbabwe being pitted against Romania. In the last meeting, Romania played in Zimbabwe hence it meant the local boys will have to travel for this tie set for either April 5-6 or September 13-15 pending notification by the hosting nation. “It’s a tough draw for us,” Tongoona told H-Metro. Playing in away and different conditions will be a challenge for Zimbabwean players but Tongoona is confident that at least a victory on the opening day of the tie will be make the job lighter. The fact that most of the Zimbabwe Davis Cup players are playing on tour this year makes Tongoona feel that it will be good preparation for Romania. “We will go there obviously we always have to be positive we try our best. Its Davis Cup try and make something happen. It’s not an easy match. “If we go there and let’s say we can get a result on the first day, win one of the rubbers then it gives us a chance to go and try and fight for promotion. Last year, Zimbabwe managed to safeguard their Europe/Africa Group II spot after beating Turkey 3-1 in the first round at home before falling 4-1 away to Poland in the second round.